By Amy Sherman on Tuesday, December 4th, 2018 at 2:44 p.m.
Gov. 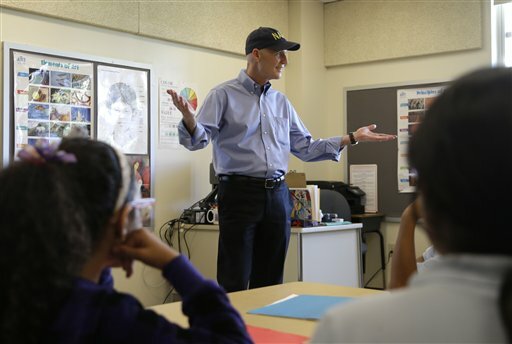 Rick Scott aimed high to improve Florida's education rankings. He promised in 2014 that the state would be "No. 1 in the nation for student performance in reading and math." To compare test scores among the states, researchers and politicians typically point to the National Assessment of Educational Progress (NAEP), which tests progress in a variety of subjects including English and math at certain grade levels every other year. We found at the end of Scott's tenure that Florida is not in the top spot for reading or math for fourth or eighth graders as of 2017. Fourth grade reading: Florida scored lower than Massachusetts, New Jersey and New Hampshire. Eighth grade reading: Florida scored below many states. Fourth grade math: Florida scored below Massachusetts, Minnesota, Virginia, New Jersey, Wyoming and Indiana. Eighth grade math: Florida scored below many states and the national average. Another way to examine state scores is to look at the percent of students scoring at or above the "proficient" level on NAEP. Sterling Lloyd, Education Week Research Center assistant director, compiled data based on that method for PolitiFact and found that Florida did not rank at the top. "Florida ranks in the top ten at the 4th grade level but slips with respect to 8th grade results," Lloyd said. Florida's rankings did improve between 2015 and 2017. "Ranking first in the nation is something of an aspirational goal," Lloyd said. "Florida has made substantial progress toward that goal, at least at the 4th grade level." Scott has pointed to improvements Florida made in many of these categories in recent years. While significant improvements are notable, Scott's promise was to be in the No. 1 spot. Scott has often pointed to an increase in education funding during his tenure. He oversaw a $1.3 billion education cut, in his first year in office in 2011. However, over the next seven years with Scott as governor, the education budget grew each year. While education funding matters, it isn't the only factor that drives student achievement, said University of Iowa education professor David Bills. "Overall family factors have a big effect on achievement independent of school factors," he said. "It's hard to imagine a level of spending that Florida could undertake that would push them ahead of states where the socioeconomic constraints aren't as severe as they are in Florida." Scott promised that Florida would become "No. 1 in the nation for student performance in reading and math." The state has fallen short of that goal. We rate this Promise Broken. By Amy Sherman on Thursday, April 20th, 2017 at 3:13 p.m.
Gov. Rick Scott vowed in his second term to reach for the stars when it comes to student tests. Scott promised in 2014 that Florida would be "No. 1 in the nation for student performance in reading and math." 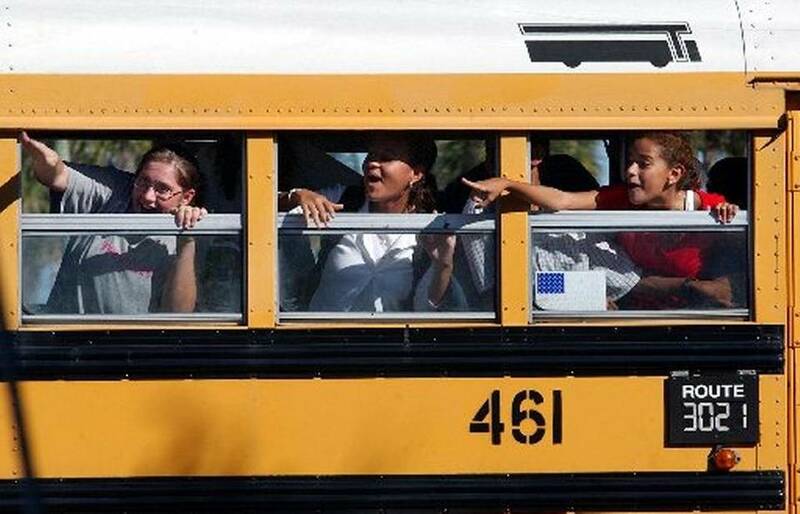 Florida is nowhere near the top in reading or math for fourth or eighth graders. Math: In 2015, the national average for fourth-graders in math was 240. Florida ranked higher at 243, but there were 13 states with higher scores ranging from 244 to 251. Florida's eighth graders ranked lower than the majority of states and below the national average. Reading: In 2015, the national average for fourth graders in reading was 221. Florida ranked higher at 227 but was below eight other states that scored between 228 and 235. Florida's eighth graders scored just a hair below the national average but behind several other states. States at the top include New Hampshire, Massachusetts, Vermont, Connecticut, New Jersey and Minnesota. Compared to 2013, Florida didn't move the needle much overall. We asked a Scott spokeswoman what steps Scott had taken toward this promise. Kerri Wyland pointed to an increase in K-12 funding in recent years including $20.2 billion in 2016-17 and increase from $19.7 billion the previous year. Scott has proposed nearly $21 billion for next year. But Scott oversaw cuts in education early in his tenure and the per-pupil spending is only slightly above his predecessor. Sterling Lloyd, assistant director for Education Week Research Center, said it would be a "substantial challenge" for Florida to be the top state in reading or math by 2019. "It's fairly difficult to move the needle with respect to NAEP scores," he said. Moving up in NAEP occurs slowly. For example, Florida gained about nine points between 2003 and 2015 on fourth grade NAEP math results. The states with the largest gains in fourth grade math between 2013 and 2015 gained only three points -- and those were states that started out with low scores, such as Louisiana and Mississippi. "We often see this pattern where it's easier to make gains if you start out with a lot of room for improvement," he said. "States, like Florida, that aren't starting at the bottom can find it more difficult to make improvements since they have already gathered the low-hanging fruit." University of Iowa education professor David Bills said spending more money can lead to higher test scores, but it depends on how that money is spent. "To the extent that it's spent on instruction, tutoring, hiring good teachers, and so on, you might expect educational benefits," he said. "If it's spend on security, grounds maintenance, athletics, and the like, maybe less so." if Florida wants to raise the mean test score, the state should spend a ton of money on lower-achieving students to try to bring their scores up to the average, Bills said. Florida still has time to move up in the NAEP ranks before Scott leaves office in January 2019 so we will check on Florida's progress when the 2017 scores are published, expected early next year. But Florida is nowhere near the top spot and it seems unlikely it will climb to that ranking during the next few years.